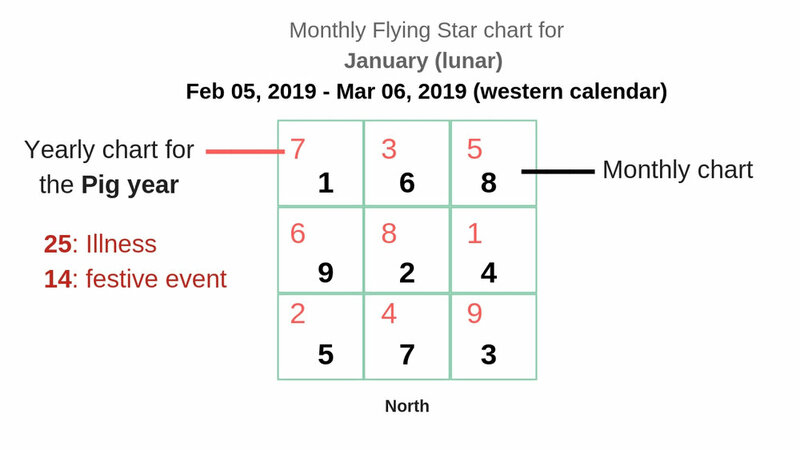 Besides the yearly chart, all 9 stars fly to new sectors every month, even days and hours. 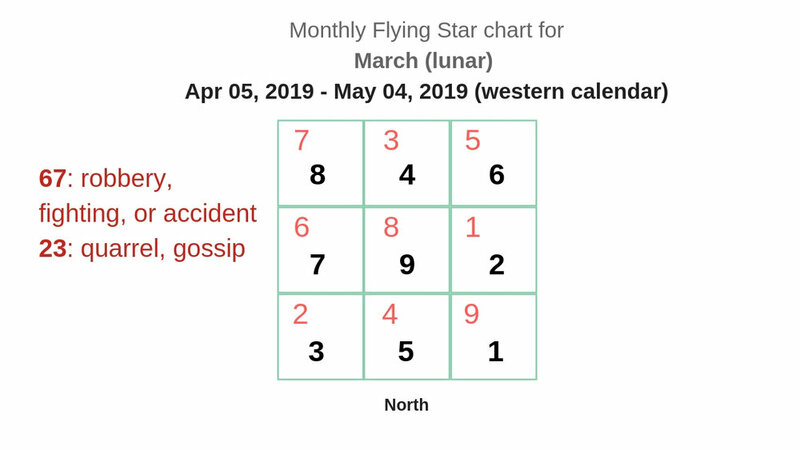 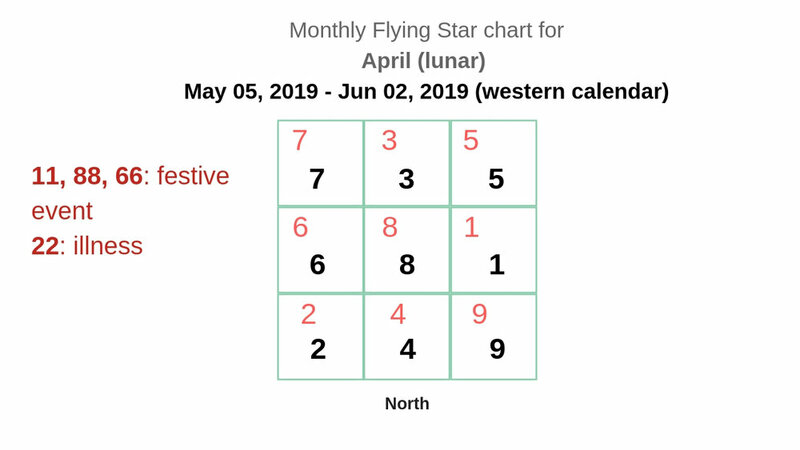 The combination of the yearly and monthly Flying Star chart can give you more information to “predict” future. 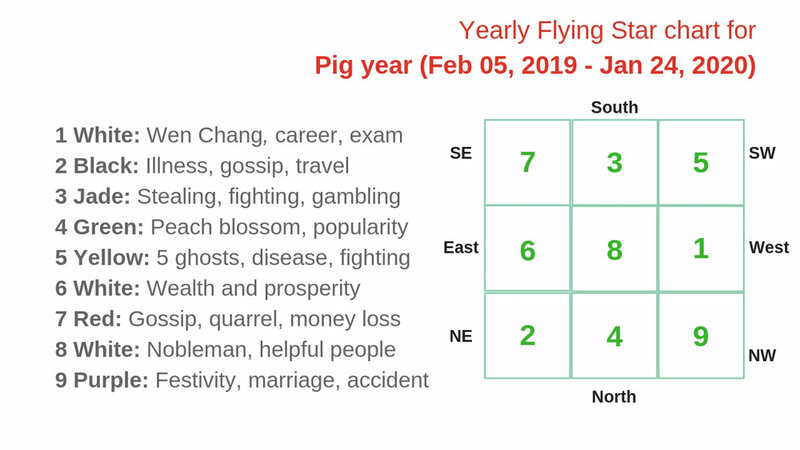 Watch the video check the charts below. 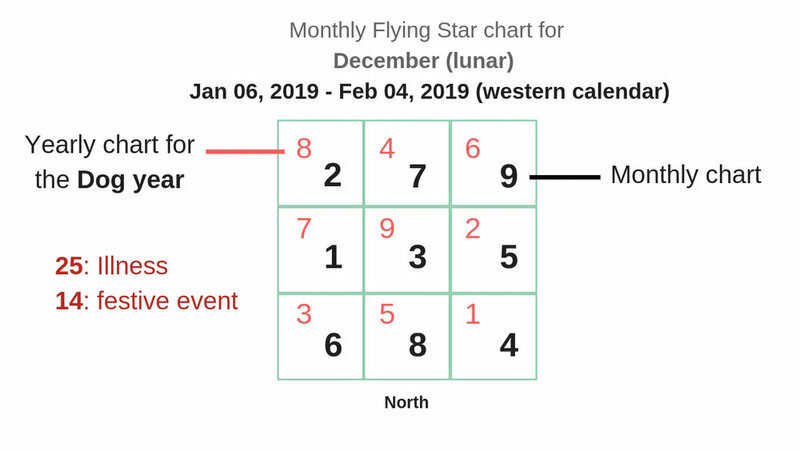 The combination star number of the month and year can have specific meaning. 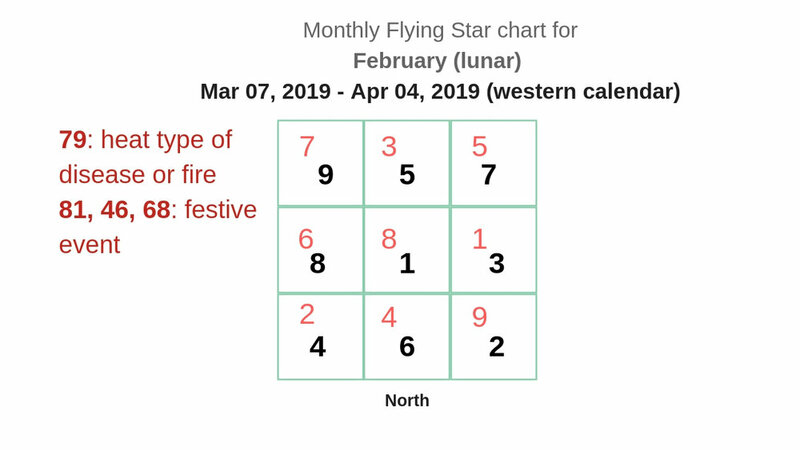 It affects the certain month’s energy. 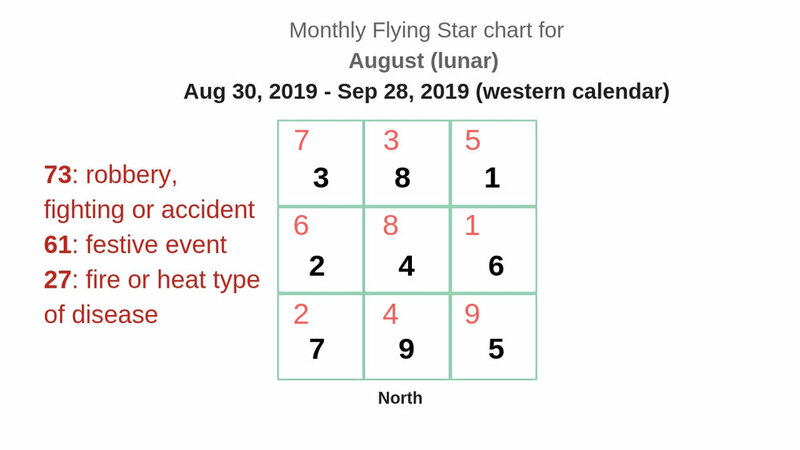 The following charts include the traditional Lunar month and the corrosponding Western month we use daily.